Maybe its the fact that the sun is out, the trees are in bloom and the flowers are blossoming but we're in the mood for pretty things. 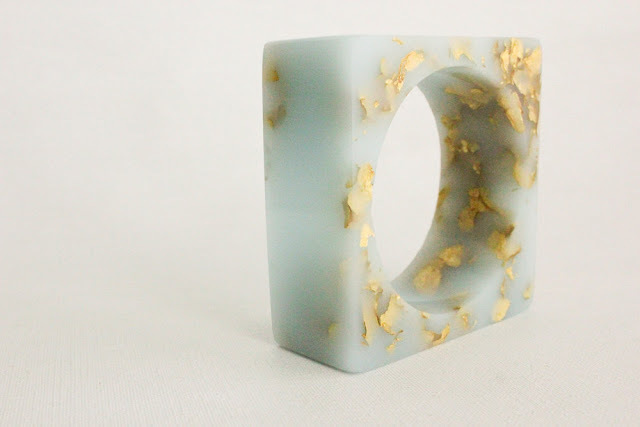 One of those pretty things we've found is from fellow Canadians Jessica and Gwynne Burgess who specialize in Eco-resin jewellery made from bio-derived materials. One of our favourites is the sky blue bangle with suspended gold leaf reminiscent of a cloudy day with chance of sunshine. Available here.